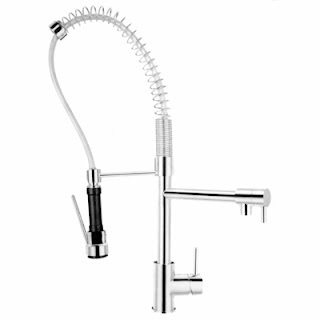 One of the hottest kitchen faucet trends is the gooseneck faucet. The gooseneck faucet easily extends to your necessary length in seconds and retracts smoothly due to its solid construction. We recommend the Richilieu line of gooseneck faucets to our clients due to their reliability and solid state brass construction. The spray option also offers a controlled spray environment without unnecessary random spraying messes to clean-up afterwards.